If the little angel and devil from your shoulders ever hung out without you and made a podcast, this is probably what it would sound like. 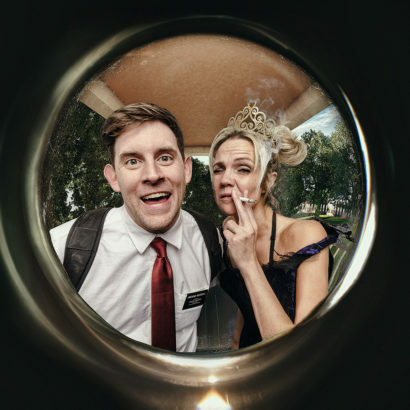 Mormon and the Meth-head is about one unlikely friendship. Adored by mothers everywhere, Aaron Woodall is a nice young man coming to grips with a dirty, cynical world. In 2015, Aaron made his national television debut when he performed on “Laughs” on Fox. In 2016 he was a host of the hidden camera pranks show “Random Acts” on BYUtv, until they replaced him with someone better in season 2. He has competed in several prestigious festivals including the Big Sky Comedy Fest, Inside Jokes Los Angeles, The Rocky Mountain Laugh Off, where he was a finalist, The World Series of Comedy, where he was a quarter-finalist, and NYC’s Devil Cup, where he was a finalist. He’s never won anything. Teen mom turned meth addict turned comedian, Jessa Reed tells raw and candid stories about about her past and her new life as a homeschooling housewife trying to blend in with the normal people. Her honesty is shocking, inspirational and not for the faint of heart.